There are many articles on the Internet today about Jason Stange. He’s a convicted bank robber who broke his probation when he walked away from a halfway-house in July 2014; Stange was arrested on Friday, July 24, 2015, after he appeared in seven photos (!) accompanying a July 23 (online) article in Washington-state newspaper The Olympian, about low-budget horror film, Marla Mae, being shot in Centralia, Olympia and Tacoma. 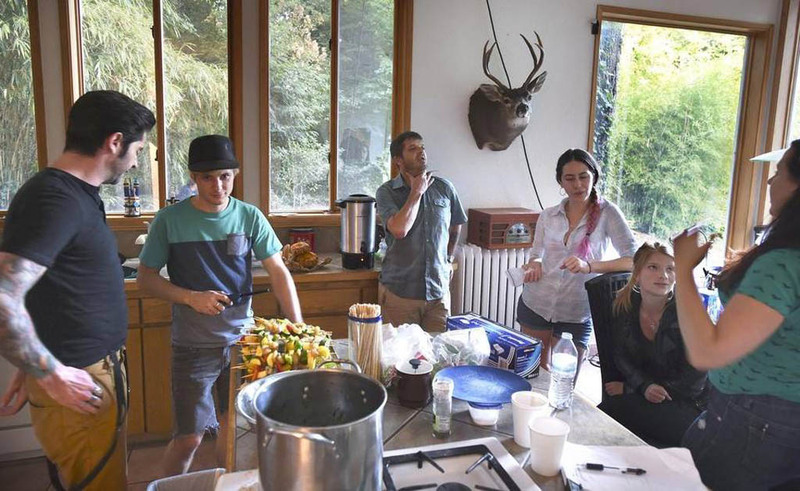 The article ran in the July 24 print edition of The Olympian. Stange is an actor in the film, and while his name only appeared in the photo cutlines, not in the article itself, people who study that kind of thing will tell you that the first thing a newspaper reader looks at is the headline, and photos come right after. I can’t help but wonder, WHAT was Stange thinking? Presumably, he did see the Olympian’s photographer, Tony Overman, taking the photos, and of course, Overman would have asked for the names of all the people in the photos. Newspapers in many parts of the world have seen a decline in readership and advertising revenue, leading to layoffs and the widely held belief that “nobody reads newspapers anymore.” Did Stange believe that, too? Screen grab from online edition of The News Tribune, of Tacoma, Washington. 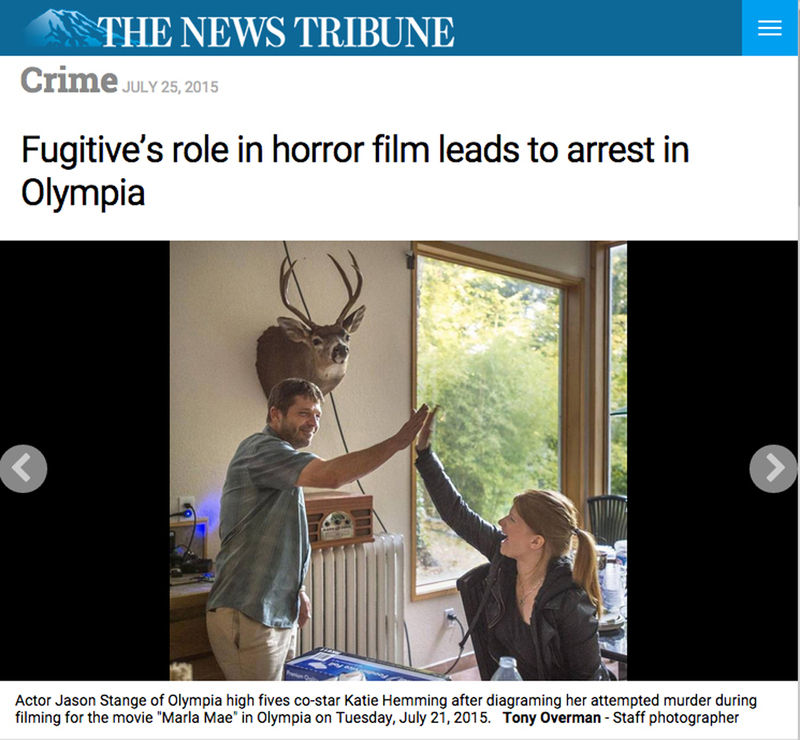 The article explains how a story in another local paper, The Olympian, led to the arrest of convicted bank robber Jason Stange, who had been a fugitive ever since breaking his parole conditions one year ago. As for his role in the film itself, “15 minutes of fame” is a very well-worn concept by now. Maybe he thought that “filming while a fugitive” would be an extra cool and rebellious thing to do, a way to thumb his nose at the establishment, and an interesting footnote when they film is released. Oh, and his “professional name” is Jason Strange – an especially good name for horror roles, dont you think? On the other hand, an article about Stange’s arrest, in the News Tribune of Tacoma, links to an arrest warrant which says that “(Stange) was ordered to pay a $4000 fine or face jail time. Mr. Stange reported he had no money to pay a fine and left.” So, maybe Stange was trying to earn the money to pay his fine. On the other, other hand, the film’s entire budget is only $8,000, so maybe not. 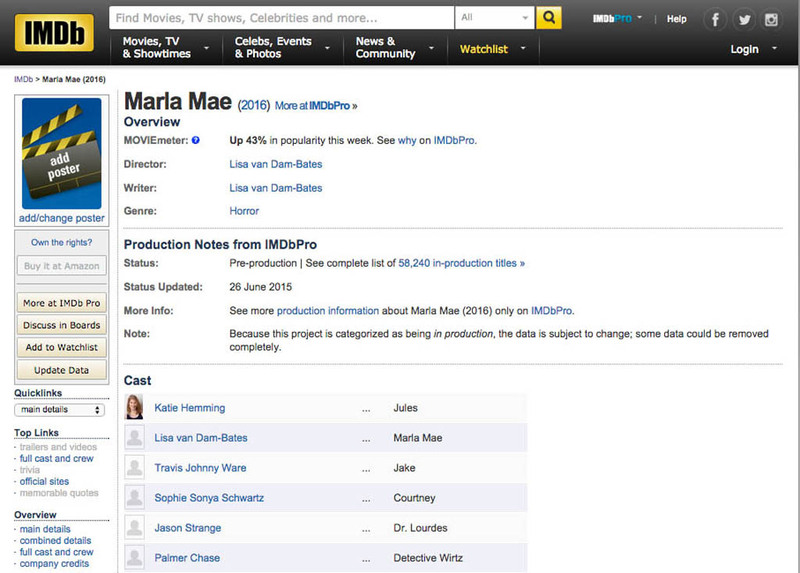 The people behind Marla Mae say they hope to release it next summer. Who knows, maybe it will turn up at Montreal’s own Fantasia International Film Festival, which is showing many kinds of genre films, including horror ones, right now. The Fantasia festival continues until Aug. 5, 2015. Interest in horror film Marla Mae is up 43 per cent this week. Presumably, the arrest of cast member Jason Stange (he uses the name Strange on imdb.com) has something to do with that.